We spend the most of our time at our homes and offices so it is very important that the energies are positive. First you have to open all the windows, doors & then light a clove incense and walk with it through the house. Once this process is finished, then take some lemons (the number of them will always be half of the rooms in your house, it means, if your house has 4 rooms, take 2 and cut them in half. 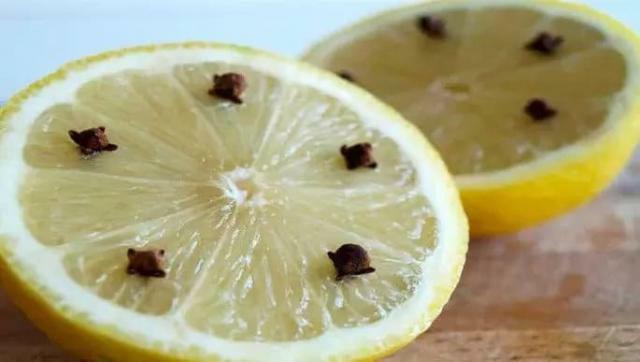 Put cloves in every half lemon as can be seen in the above photo & place one in each room of your home. This way, the lemon will absorb all the negative energy that enters into your house. When a lemon is dry, throw it away and replace it with a new one. If the lemon becomes dry, there is nothing. If the lemon gets brown, there is negative energy and probably it is out of envy. If the lemon is green or moldy, it is some work that you are trying to do. If the lemon gets brown and green or moldy, a lot of negative energy is working. If the lemon turns black, they have achieved their goal, you have a very powerful witchcraft work done towards you and is affecting you.